Well that was easy. See? All the Tigers needed was to play a few sub-par teams at home, and just like that, they're back to .500 baseball. Unfortunately, the White Sox, Yankees, Blue Jays, and Royals loom in the distance, so these next six games against the Oakland A's and Los Angeles Angels are fairly important. The Tigers can gain some ground out west, but they'll need to do that despite the massive holes in the starting rotation called Mike Pelfrey and Anibal Sanchez. 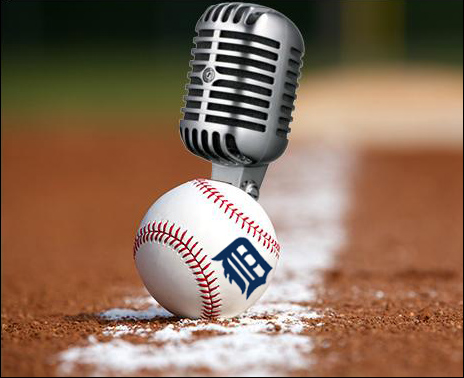 Rob Rogacki and HookSlide look back at the recent successful home stand, look ahead to the games against the A's and Angels, answer listener questions, and do a fair bit of complaining about what can only be called a first world problem. - Cameron Maybin is hot, but can he sustain it? 1:16:11 - Into the Mob Scene at Home: what do kidneys, veggies, and hoodies have in common?